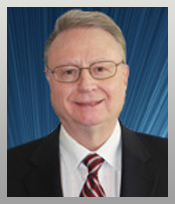 Samuel R. Baker, Q.C., B.A., L.L.B., has been in the legal field for 48 years. He is a Senior Partner with Baker Law Firm, has provided legal counsel to numerous Fortune 500 and other multinational corporations, and is a Founding Member and Canadian Representative to the Asia-Pacific Lawyers’ Association. He is also the Director of the Canada-Netherlands and Canada-Finland Chambers of Commerce, and is the President of the Canada Scandinavian Business Association. His fellowships include: Teaching Fellow (Stanford 1962-63), Alberta Bar (1962), Ontario Bar (1966), and Fellow, Patent and Trademark Institute of Canada (1982). Mr. Baker is the author of books and articles on international transactions, joint ventures, technology transfers, establishing a business in Canada, among many other subjects.